6th Annual Practical Symposium is organized by Cockerell Dermatopathology (CDP) and will be held from Aug 08 - 11, 2019 at Park Hyatt Beaver Creek Resort And Spa, Beaver Creek, Colorado, United States of America. Target Audience This educational activity is designed for Dermatologists, Mohs Surgeons, Dermatology Residents, Dermatology & Mohs Fellows, Dermatology Physician Assistants, Dermatology Nurse Practitioners, Dermatopathologists, Pathologists, Dermatopathology Fellows, Pathology Residents Accreditation: Physician Credit: Medical Education Resources designates this live activity for a maximum of 25 AMA PRA Category 1 Credit(s)™. Physicians should claim only the credit commensurate with the extent of their participation in the activity. American Board of Dermatology MOC Recognition Successful completion of qualified Maintenance of Certification (MOC) activities, which includes participation in the quiz evaluation component, enable participants to earn up to ~60 MOC points in the American Board of Dermatology MOC program.. American Board of Pathology MOC/SAM Recognition Successful completion of this CME activity, which includes participation in the quiz evaluation component, enables the participant to earn up to 10 Lifelong Learning (Part II), Self-Assessment Module (SAM) MOC points in the American Board of Pathology (ABPath) Maintenance of Certification (MOC) program. Participants will earn MOC points equivalent to the amount of CME credits claimed for the activity. Nursing Credit Provider approved by the California Board of Registered Nursing, Provider Number 12299, for 25 contact hours. 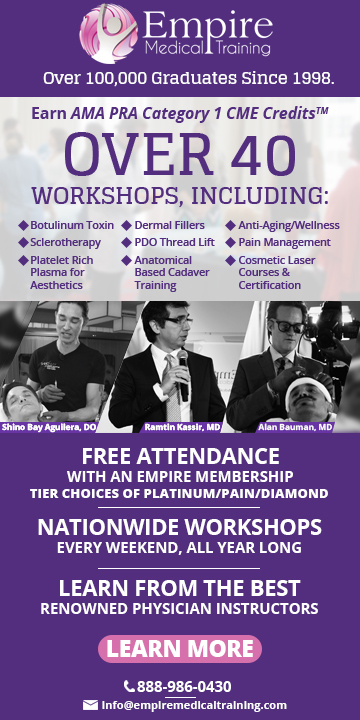 Program Overview The conference will be different from typical dermatology conferences in that we will emphasize clinicopathologic correlation and how dermatopathologists and dermatologists can work together to establish accurate diagnoses and plan optimal treatment. Furthermore, the conference will also emphasize how clinicopathologic correlation can guide research, new treatment options, and device product development within dermatology. Thus, it is more important than ever to understand the close cross-fertilization that occurs among dermatology, dermatopathology, and industry. While the conference will provide a rich educational experience, this interaction between dermatology, dermatopathology, and industry will be explored in a number of different sessions and lectures throughout the symposium. This meeting will also allow ample opportunity for networking of attendees with industry leaders who will be welcomed into all educational sessions. The conference will also benefit physicians in industry who interact with clinicians and other researchers. It will also be beneficial to residents and fellows preparing for certifying examinations or attending physicians preparing for their recertification exams. Learning Outcomes Educational offerings are intended to increase competency, influence performance, or improve patient outcomes. Educational Objectives: After completing this activity, the participant should be better able to: • Summarize the current trends and future innovations associated with clinical dermatology and dermatopathology • Apply an improved knowledge base of the various treatment options, the use of multiple modalities in treating specific dermatologic disorders • Describe the basic principles for the treatment of dermatologic disorders including biologics, combination therapy and the future of treatment • Apply learned skills about the clinical and histopathology features, management and treatment of common skin cancers and non-cancerous skin disorders • Practice new diagnostic and treatment algorithms for pigmented neoplasms (including melanoma), carcinomas and inflammatory conditions • Assess the use of physical therapies in the treatment of skin lesions including cryotherapy, radiation therapy, photodynamic therapy, and light therapy Additional details will be posted as soon as they are available. Winter Imaging in Beaver Creek Course is organized by CME Science and will be held from Jan 06 - 10, 2020 at The Ritz-Carlton, Bachelor Gulch, Beaver Creek, Colorado, United States of America. Target Audience: The course is intended for practicing radiologists and radiologic nurses, physician assistants, technologists, scientists, residents, fellows and others who are interested in current techniques and applications for advanced diagnostic imaging. Accreditation: Physician Continuing Medical Education: The Postgraduate Institute for Medicine designates this live activity for 19.75 AMA PRA Category 1 Credit(s)™. Physicians should claim only the credit commensurate with the extent of their participation in the activity. SAM Credit: This Course is eligible for 5.75 SAM Credits upon successful completion of the SAM Quiz taken within 30 days post course. Technologists: This course is pending approval for 17.0 ARRT Category A CE credits for those technologists attending the entire course. Course Objectives: The Imaging in Beaver Creek course is designed to provide the tools for participants to enhance interpretation skills utilizing the latest imaging technologies. 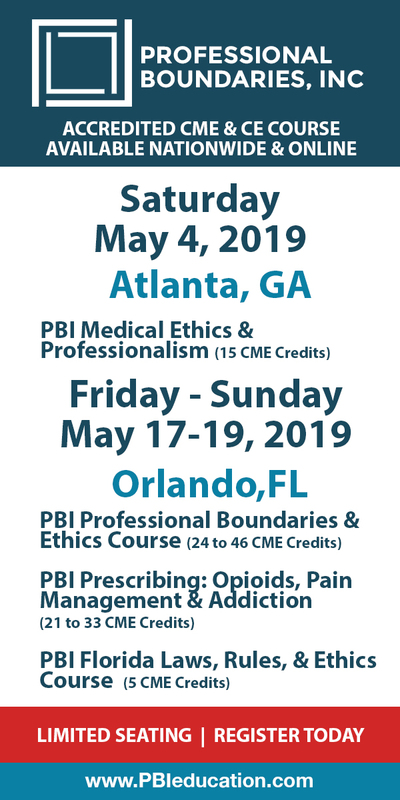 Lectures and cases will cover evidence-based practice techniques and protocols for improved diagnostic accuracy in multiple applications. At the conclusion of this activity, participants should be able to • Apply advanced techniques and protocol design in CT, MRI, ultrasound, and Interventional Radiology • Integrate state-of-the-art imaging techniques and applications into clinical practice. • Utilize advanced MDCT for abdominal imaging. • Describe recent advances and techniques in musculoskeletal imaging. • Apply quality improvement strategies to the practice of interventional radiology, with a focus on • increasing efficiency, communication, and collaboration. • Describe the common challenges in interpreting whole body and brain PET/CT. • Describe thoracic radiologic procedures for clinical cancer management. • Optimize imaging methods to reduce the number of false-positive mammography interpretations. • Assess the current status and future applications of advanced breast imaging technologies. Additional details will be posted as soon as they are available.